(Issue 32) We don't send spam. We won't give out your email address. "For the first five weeks I basically had no followers," says David Oram, the man behind social media sensation Brumpic. For those who aren't familiar with it, Brumpic is both a Twitter account and Facebook page that posts some of the most amazing modern day images of Birmingham but, more poignantly, intriguing shots of our city from decades gone by. "Then I posted this shot of the Aston Villa team from 1983. My follower figure jumped up. Before long I was getting a thousand followers a week." "Pictures I post tend to conjure two emotions. Firstly there's a huge amount of nostalgia and love for the city but, secondly, there's sometimes ire at the way the city has changed. Architectural masterpieces razed without much thought. I can totally understand that anger and agree with it often. This image, however, shows the positive progress this city has made in the last 30 years. 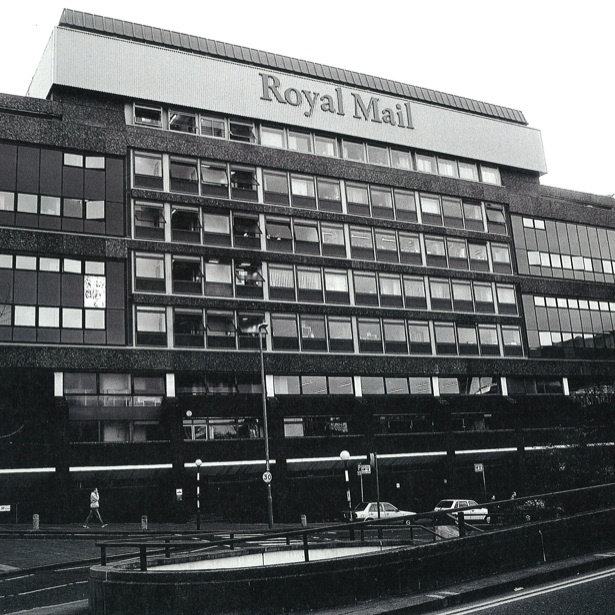 The amazing regeneration of areas such as the Mailbox - which stands where this sorting office was - Brindley Place, The Bull Ring and the New Library are tremendous positives." "This image is just amazing. Note the barefooted kid and the youngster in the cart with a look that could kill. It's tremendous. So much emotion. The underlying sadness of this image is that most of these boys would have gone off to war in 1914 and, potentially not come back. These social images are incredibly popular with the followers of Brumpic. People love to look at the citizens that went before us." 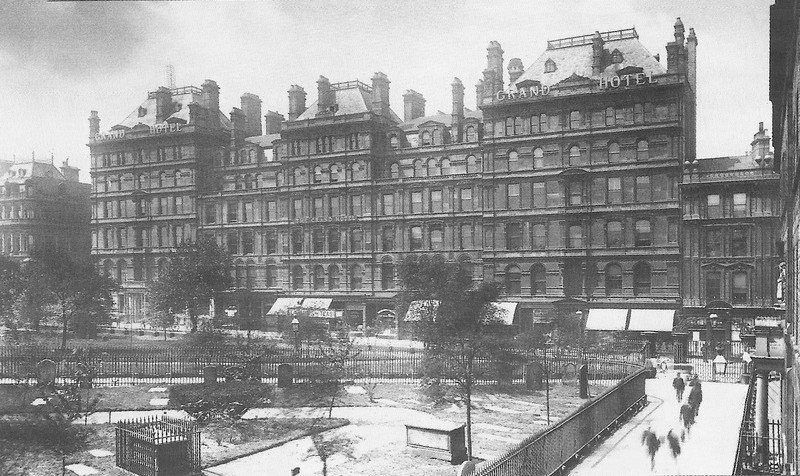 "The general view on Twitter is that Birmingham has lost all of its grandest buildings. And we have, indeed, lost a lot. 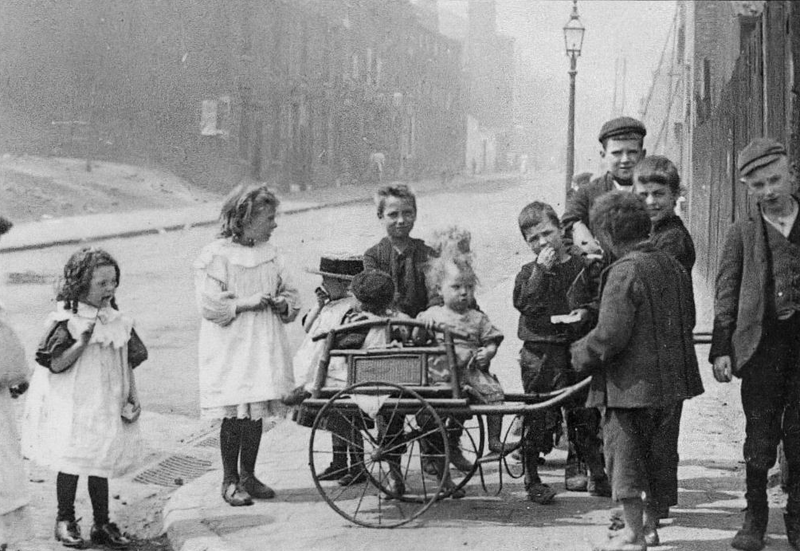 However, this scene from 120 years ago still looks very much the same today and that's why I love it so much. Colmore Row is still stunning and work is underway to reopen the Grand Hotel. We can look retrospectively and with fury at what has been demolished, or we can focus our efforts on safeguarding the history that remains." "I'd argue that Birmingham was, and still is, beautiful. This image could have been taken on the set of any 1930s film noir. The calm of this photo and the amazing buildings that frame the silent street, soon to be shattered by six years of war. It's eerie, yet stunning." "Here's my favourite. People tend to like images where they know instantly the area that's been captured. The 1960s and 1970s tend to be the most popular and this one shot captures what it was like for me, growing up in Birmingham. 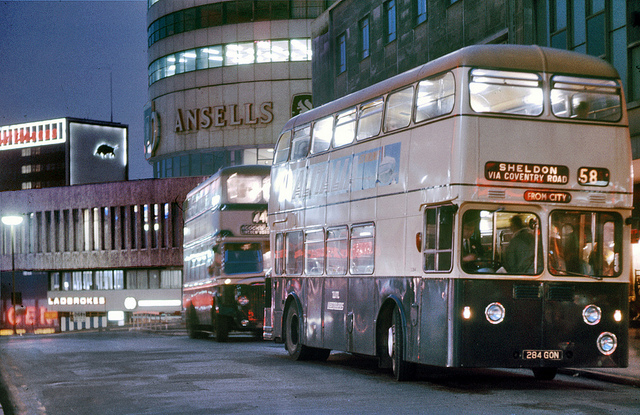 These are my earliest memories, the Bull Ring, the Ansells sign on the Rotunda, the cream and blue buses. It's a personal one to me, but then the best images are." 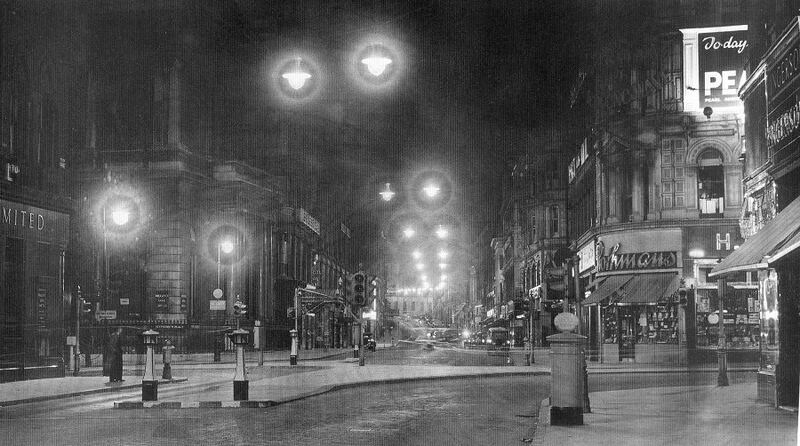 Tweet your favourite shots of modern day or yesteryear Birmingham to @Brumpic, follow him here and like his Facebook page here. 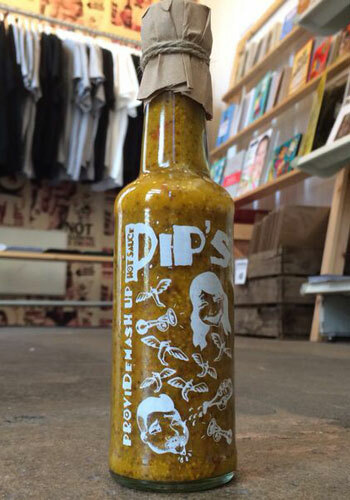 If you don't know the phenomenon that is Pip's Hot Sauce, have a look at our condiments special. The Kings Heath chilli Goddess's latest concoction, a collaboration with Custard Factory-based shop Provide, is an extraordinary rum, mustard, mango and turmeric sauce. It does unholy things to bangers and mash (and pork in general) and is available here (£5.50 for 150ml). Alternatively track her down at Stirchley Market (May 15), Solihull Fine Food Market (May 17) or on Twitter. FILM FACT: The character Quint, from Jaws, estimates the great white they're hunting to be 25 ft long and 3 tons in weight. No offence, but your TV probably doesn't do it justice. 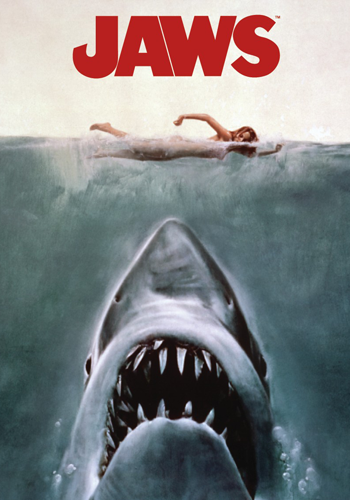 As part of their Creature Feature season - which builds up to the launch of Godzilla on May 15 - The Giant Screen are showing Jaws tonight (6.30pm, £6) on the biggest independent cinema screen in the UK. It's how Spielberg would have wanted it shown. The schedule also includes Jurassic Park, Monsters and the 1954 Japanese Godzilla movie Gojira. 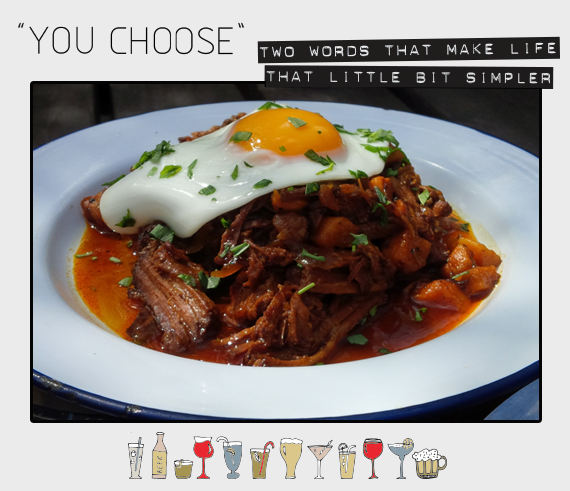 A friend of I CHOOSE has a theory by which any hot, savoury dish is drastically improved by the simple addition of a fried egg. Whilst that man is obviously completely insane, the fried egg atop this brisket was a triumph. In fact, the whole dish was a blooming great success. The juicy beef marries wonderfully with the hidden cubes of sweet potato hash, while the broken egg yolk caresses the pair in some sort of marvellous plate-based romp. Go to The Plough, order this and never mention our use of the word "romp" in a food review to anyone. Many thanks.